Hive of Madison is made for Madison’s exceptional lifestyle where luxury connects with comfort in a sophisticated, sustainable style that is effortless and elegant. Madison captures top spots for most bike-friendly city, fittest city, greenest city, best for an active lifestyle, and the best lists go on and on. Madison is getting well-deserved national attention and all sorts of awards, but the best part of living in Madison is the people, the community. It’s this community that inspires us at Hive. Hive hosts a coveted selection of outdoor and lifestyle apparel. We have selected manufacturers who share, live, and breath our Madison values. These are the brands setting higher social and environmental standards in every aspect of product development, from sourcing raw materials through manufacturing, packaging, and distribution. We know these companies, and their product lines, on an intimate level from working in the outdoor industry for over 25 years. It’s these years of experience that bring you a product selection unlike any other. Apparel and accessories chosen for the men and women of Madison, where every day is an adventure. Whether the adventure be by bike, by boat, be outdoors or in, we have the apparel that fits your lifestyle. Hive stands behind our products and is dedicated to providing you with an exceptional customer experience. We are locally owned, operated, and ready to serve you, alongside the outstanding merchants on Monroe Street. Come visit us, we are thrilled to be part of Madison’s award-winning community! Troy and Pam met in 1994 working at Fontana Sports and spending days off climbing at Devil’s Lake or riding bikes around Wisconsin’s Dairyland with friends. After 10 years of working and managing outdoor retail stores, both became sales reps in 1996 and started the rep agency, The Ascentials. Together they have worked as independent sales reps for MSR, Mountain Hardwear, Horny Toad (now Toad&Co. ), Chaco, Arc’teryx and others. After living in the Monroe Street community for over 25 years, they opened Hive in November 2017. Hive is where their personal life in Madison and professional work in the outdoor industry intersect. 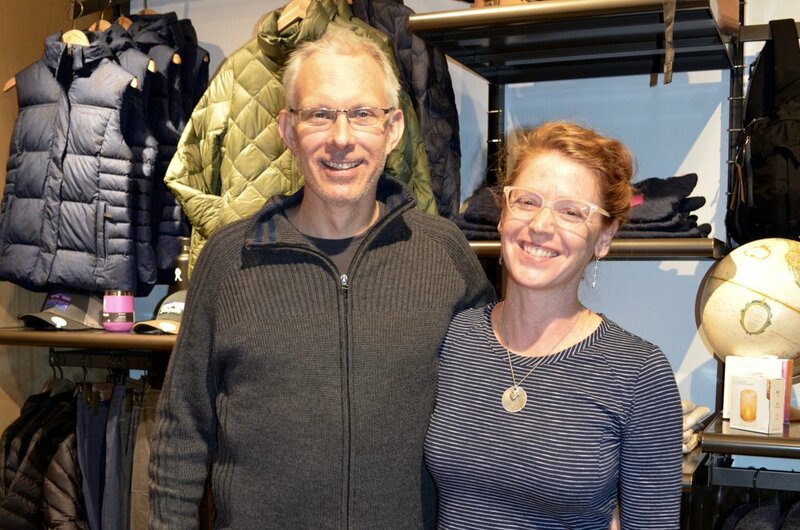 It’s their 20 plus years of coaching retailers how to provide outstanding customer experiences that give Pam and Troy their competitive advantage. With so much of their lives spent outdoors and in Madison, they are excited to bring Hive's unique retail experience to a community they love.